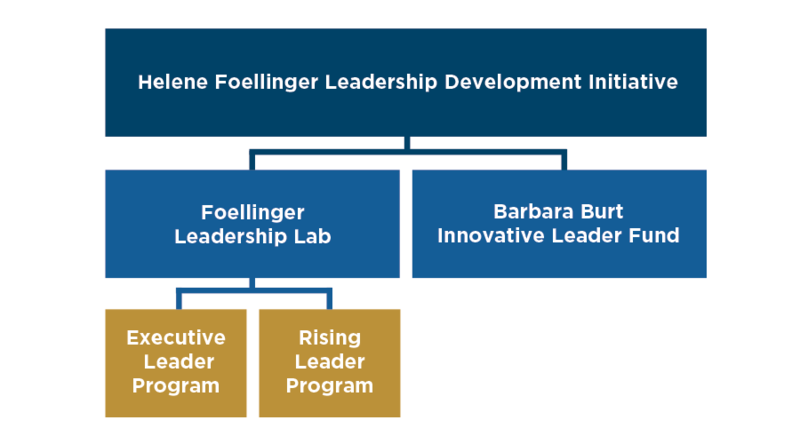 As part of the Foundation’s Helene Foellinger Leadership Development Initiative, we often bring in guest speakers to share their expertise and insights with our program participants. We’re currently in the second cohort of the Leadership Lab Executive Leader program. The Leadership Lab is an 18-month program that helps Executive Leaders build or strengthen adaptive leadership skills. In September, our Executive Leaders participated in a simulation where, as a team, they had to climb Mount Everest, encountering problems along the way with weather, health and supplies. Together, they needed to make tough decisions and solve complex problems. Ace retired from Lilly Endowment in June 2018 after 21 years of service. He began his career at Lilly Endowment as a program director in the community development division in 1997. In 2012, he was elected vice president for community development. After that exercise, they were joined by Ace Yakey—who, in addition to being a recently retired VP of Lilly Endowment, is also an experienced mountain climber who had a challenging story to share about his attempt to climb the mountain—when a magnitude 7.8 earthquake struck Nepal. While Ace was an experienced mountain climber, nothing truly prepares a person for a natural disaster in a situation like this. But, Ace’s adaptive leadership skills helped him to face the challenge, and he and his group, working together as a team, were able to safely return home. Ace and his group were en route to Everest Base Camp to climb an adjacent peak, Kala Pattar. Their original itinerary had them scheduled to be at base camp on April 25, 2015 when a magnitude 7.8 earthquake struck Nepal killing some 9,000 people across the country including more than twenty climbers at base camp. Fortunately, he and his group were a few hour’s walk below base camp near Lobouche when the earthquake struck. While the decision made just ten days before in Khatmandu to delay the start of their trek by one day was chance; the skills and decisions that were necessary to get Ace and his group through the aftermath of the earthquake weren’t. Ace and his group were focused on getting out of Nepal, but due to the massive destruction caused by the earthquake, there was a lack of supplies, food and access to transportation. Remember, much of Nepal was rocked by the earthquake—villages were destroyed and many died. Obviously, Ace and his colleagues made it out of Nepal and back to the United States, but not without some significant struggles. Ace’s experience is a prime example of the kind of expertise we like to bring and share with this group. Adaptive leaders thrive in challenging environments—just like Ace. The decisions made in the face of adversity have significant relevance to how our nonprofit leaders manage risk, and their teams; it affects the excellence our nonprofit organizations present to our community; it has an impact on our community’s quality of life. Thank you, Ace, for sharing your story with us!